Noise and Vibration affects all kinds of engineering structures, and is fast becoming an integral part of engineering courses at universities and colleges around the world. In this second edition, Michael Norton's classic text has been extensively updated to take into account recent developments in the field. Much of the new material has been provided by Denis Karczub, who joins Michael as second author for this edition. 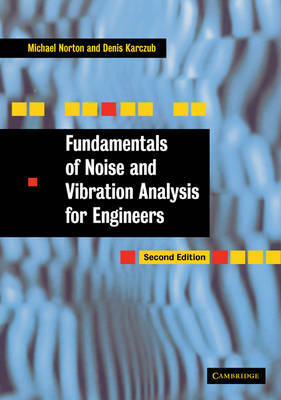 This book treats both noise and vibration in a single volume, with particular emphasis on wave-mode duality and interactions between sound waves and solid structures. There are numerous case studies, test cases, and examples for students to work through. The book is primarily intended as a textbook for senior level undergraduate and graduate courses, but is also a valuable reference for researchers and professionals looking to gain an overview of the field.